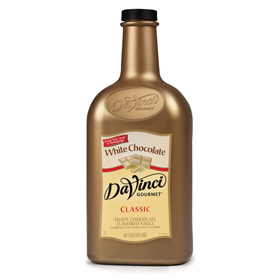 Packaged in ready–to–use 1/2 gallon jugs A rich chocolaty mocha, a towering sundae topped with luscious chocolate or caramel, a heavenly white forest cake made with creamy white chocolate ~ these are just a few examples of the delectable treats that can be made with DaVinci Gourmet® Sauces. Choose from chocolate, white chocolate and caramel. Our sugar free chocolate and caramel sauces are sweetened with SPLENDA®, delivering flavor with fewer carbohydrates and calories. Ensure the perfect amount every time with our 1 oz. 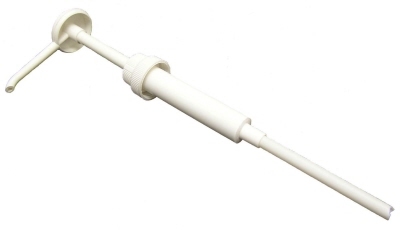 pre–portioned sauce pumps (for use with 1/2 gallon jugs only). Thick caramel sauce ideal for baking or as a bread spread. 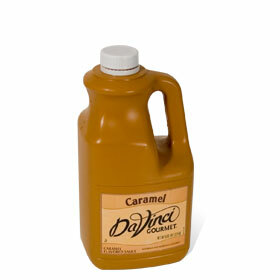 Use it to make your own caramel latte, or use to for baking muffins! This product is so versatile you are going to find endless ways to endulge in it, guilt-free! Thick chocolate sauce ideal for baking or as a bread spread. 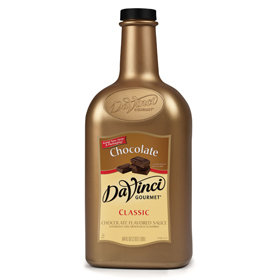 Use it to make your own Mocha, or use it as a dessert topping! This product is so versatile you are going to find endless ways to endulge in it, guilt-free!